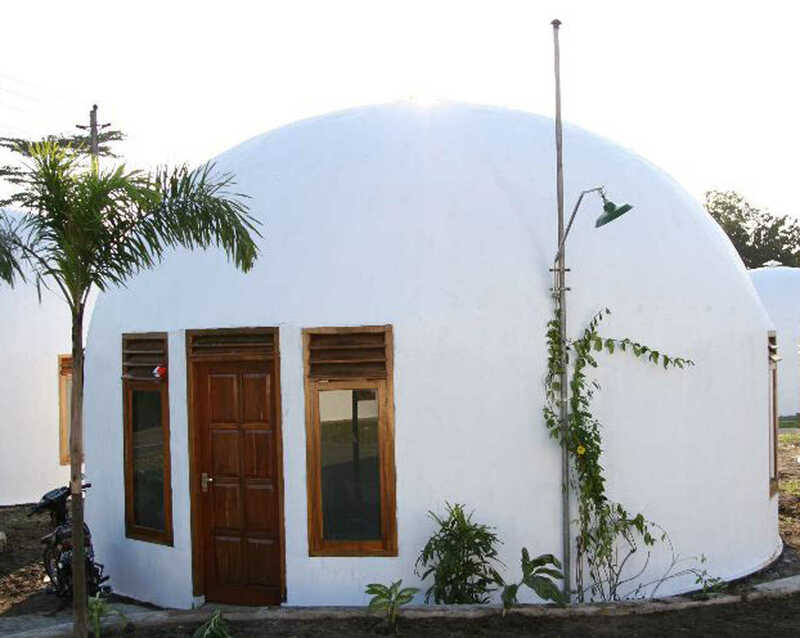 Monolithic EcoShell in Indonesia — Domes For The World trained native workers to build Monolithic EcoShell Domes which provide clean, low-energy use, fire- and disaster-resistant homes and public buildings in New Ngelepen, Indonesia. 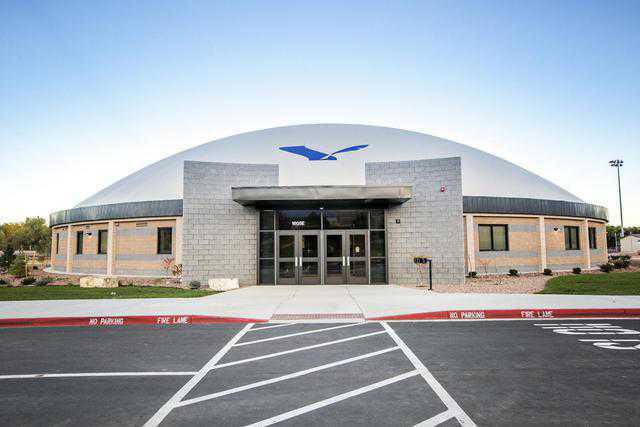 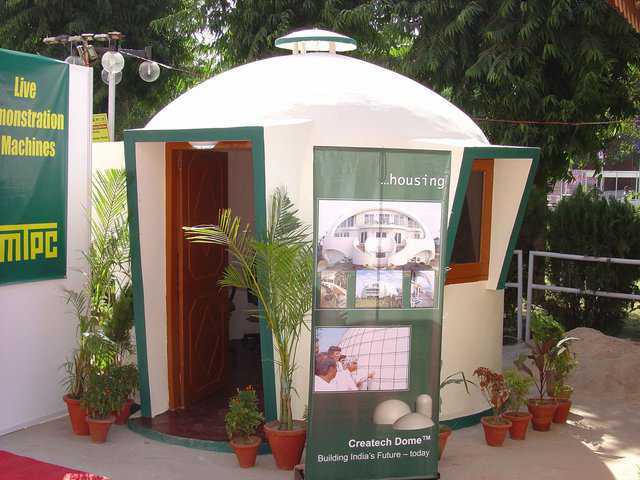 Besides Monolithic Domes, we have developed the technology to build two types of EcoShells. 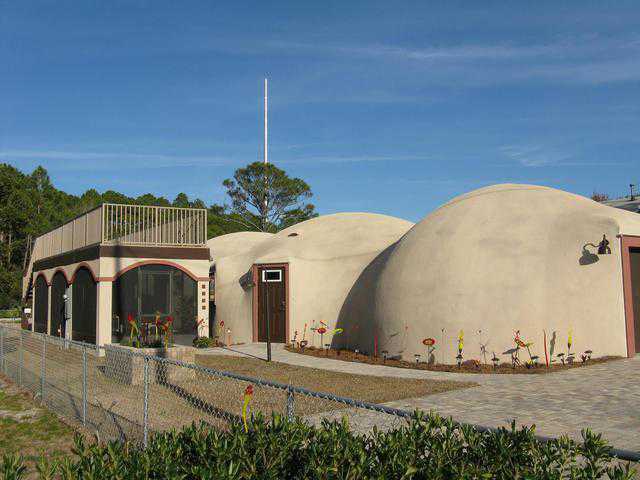 In the construction of an EcoShell I, concrete is layered onto the exterior of an inflated Airform. 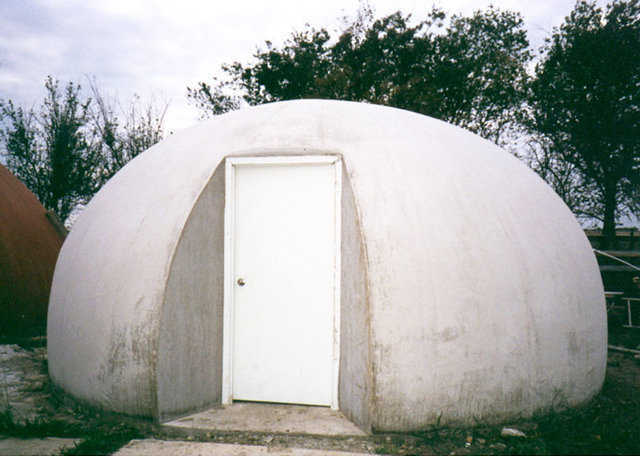 For EcoShell II, concrete is layered onto the interior of an inflated Airform. 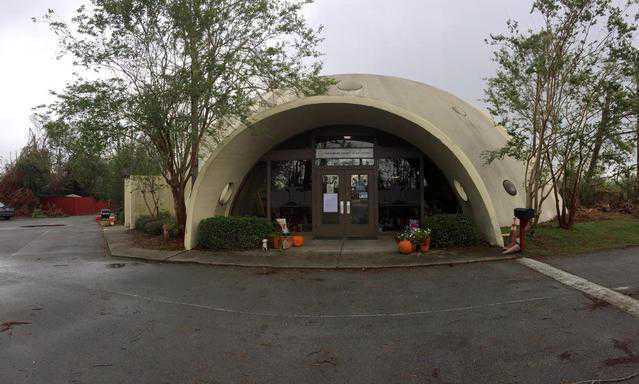 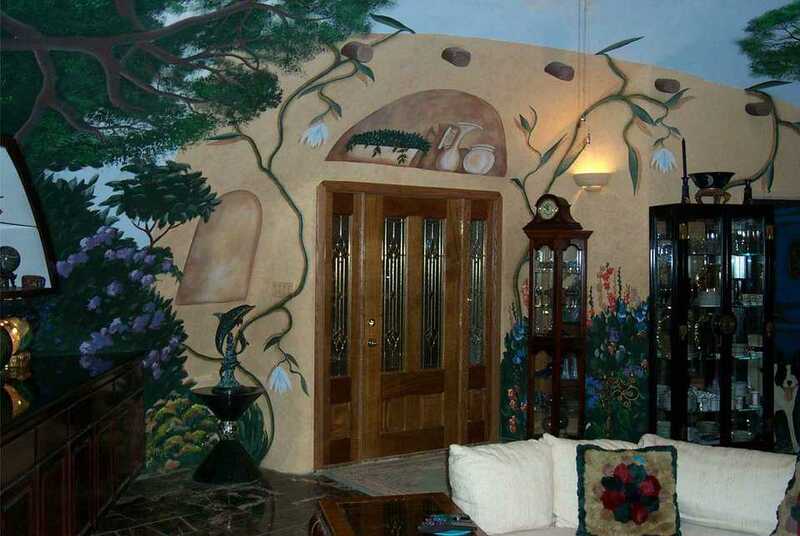 Either type usually is not insulated, but either is about the best, thin shell concrete structure currently available. 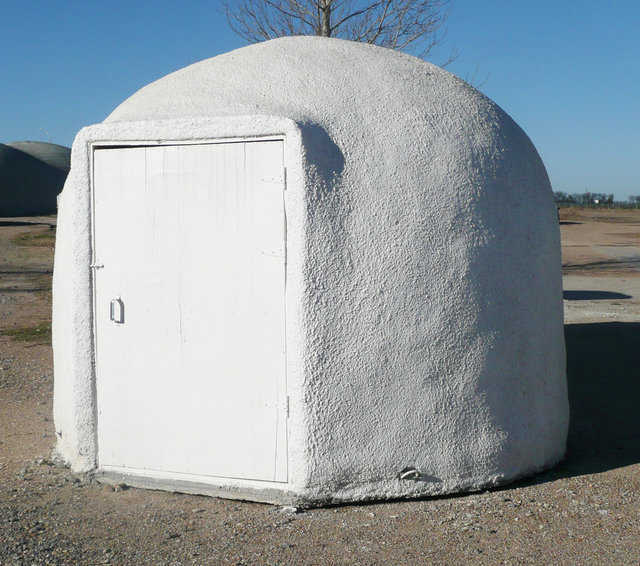 In industrialized nations, particularly ones with climates such as ours, EcoShells make superior workshops, garages, storage sheds, etc. 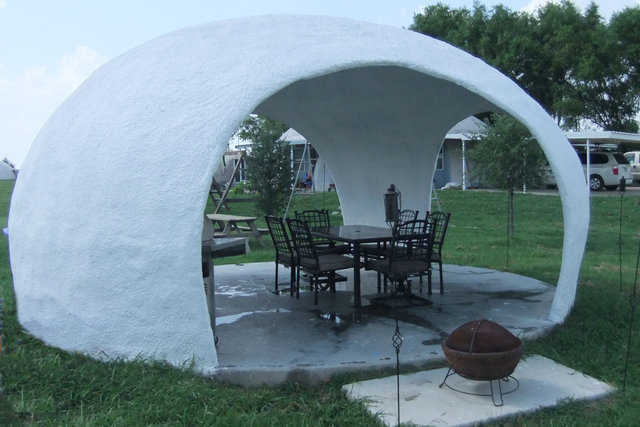 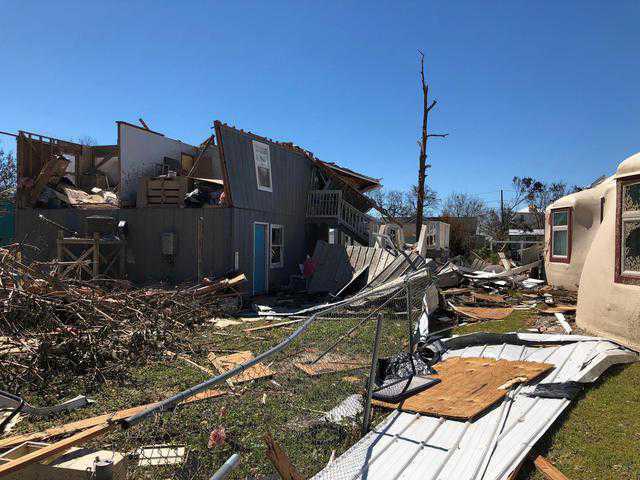 They are strong structures that can withstand natural disasters, fire, termites and rot. 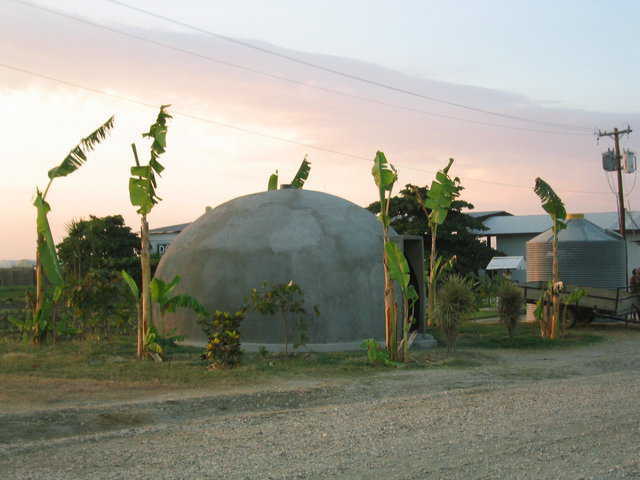 In underdeveloped areas with hot climates, EcoShells make affordable, low maintenance, sturdy housing. 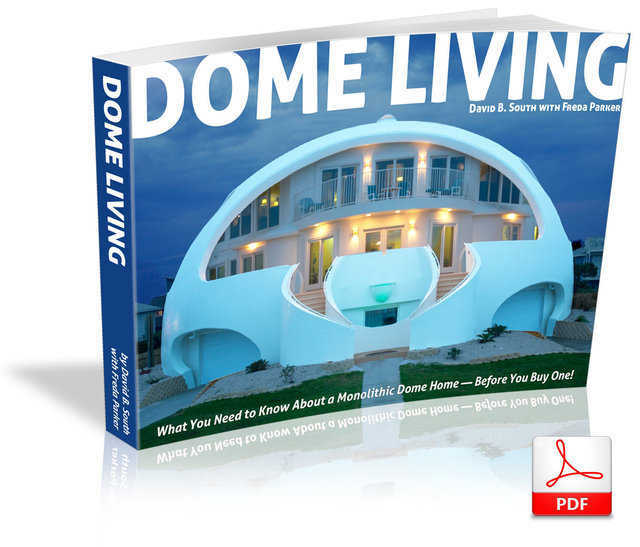 Articles pertaining information about the new developments of a Monolithic Ecoshell.